Lumbar spondylosis refers to a degeneration of the discs in the lower spine, according to PubMed Health. These discs separate vertebrae and offer a cushion between the bones. Lumbar spondylosis is also often called degenerative disc disease. This condition causes lower back and leg pain. Lower back pain as a result of lumbar spondylosis can manifest at any age, even as early as a teenage years. 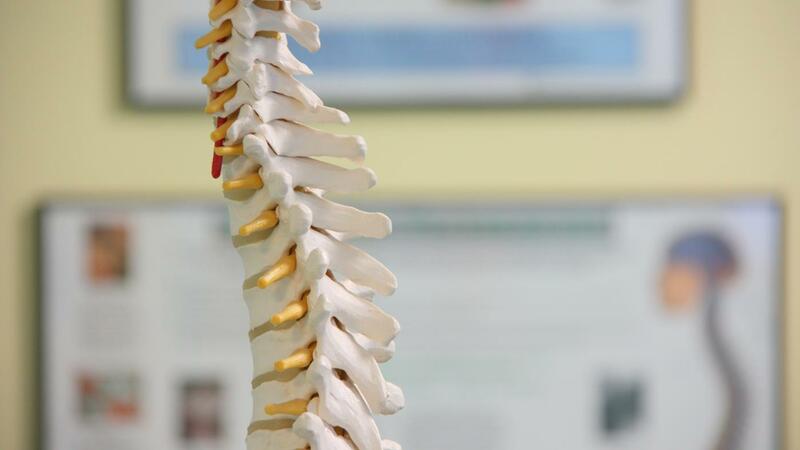 PubMed Health explains that malalignment of the vertebral column or vertebral instability often results in cases of degenerative spinal diseases. Non-surgical treatment, or first-line treatment, includes drug therapy to aid in pain management as well as physical therapy, chiropractic adjustments, cortisone injection and massage therapy. Surgical procedures, such as vertebral fusions and disc replacement, are commonplace treatment options implemented after non-surgical treatment has failed to manage symptoms effectively. What Are Some Common Causes of Lower Back Spinal Pain? What Are the Causes of Palpitations When Lying Down? What Is Lumbar Spine Arthritis? What Are Some Reasons for Lower Back Pain?